Last Saturday, I made my way to the Chinese Cultural Center for a very special event. The Interfaith Community Services (ICS) organizes an annual fundraiser to benefit the ICS Food Banks, and this was their 6th edition of "Empty Bowls." My first thought as I was driving was where to park because the parking lot was absolutely full. But I was happy to see that. It means that many people come together to contribute to such a noble cause as it is feeding the hungry in our community. To give you some numbers, an average of 1,100 people make it to the annual and biggest ICS fundraiser. At the entrance, you could see all the tables set up with beautiful handmade ceramic bowls. With the purchase of their tickets, event attendees get an exquisite pottery piece. The bowls are made by local artisan potters from Southern Arizona Clay Artists, and over 1000 bowls are donated for the fundraiser. Once I walked into the main building, there were long lines of people waiting to sample signature soups from local restaurants. And everywhere I looked, people seemed to be enjoying their tasty treats. I'll let you decide that. There were nineteen restaurants at the fundraiser, and as much as I wanted to try every single one, my stomach was telling me otherwise. 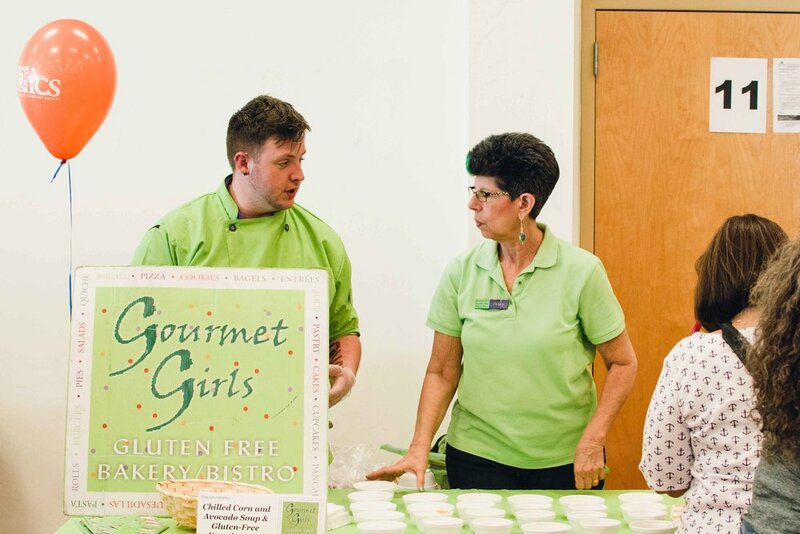 Among my favorites were the sweet and sour cabbage soup from Claire's Cafe, chilled corn and avocado with gluten free bread from The Gourmet Girls, and the minty and refreshing chilled melon soup from Splendido. I really wanted to try the grapefruit gazpacho, served by Iskashitaa and The Fountains, and the beef and barley soup prepared by Elmcroft, but I ran out of room in my belly. Outside, guests enjoyed the beautiful weather, live music and scrumptious desserts. Ocotillo and Rain Thunder delighted the audience with their unique blend of bluegrass music while friends and families shared a meal. Others just waited in line for dessert, like me, who stood in line twice for the pretty lemon bars from Sunrise Senior Living. "Empty Bowls" also hosted a silent auction and raffle and there were additional handcrafted pottery pieces for sale. All the proceeds from the fundraiser go towards programs to feed and assist struggling families in Pima County. 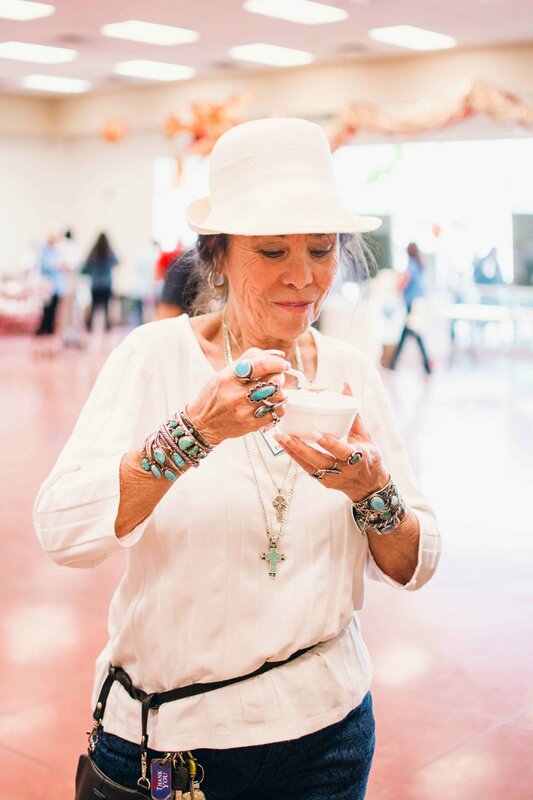 My beautiful turquoise bowl that I got to take home serves as a reminder of the efforts of the artisans, ICS and the event attendees to end hunger in our community.